Ever since 2014, Popcorn Time has emerged to be the most popular torrent streaming platform that utilizes BitTorrent technology. Basically it is a TV and movie streaming program that is less riddled with advertisements with no content licensing restrictions. But the fact is thatPopcorn Time stream vast collection of pirated video content from torrent sites and this might cause you a greater risk of copyright infringement. Therefore, to avoid getting indulge in privacy related issues, protect yourself with Popcorn Time VPNto stream and download simultaneously. And enjoywatching your favorite content that is being downloaded “on-the-fly”. Whatever the case may be, you can easily protect your internet connection, access blocked content, and prevent strangers in your P2P swarm from seeing your true Internet Protocol (IP) address with a Virtual Private Network (VPN) tunnel. The only problem is that there seems to be an endless number of VPN providers, and it’s tough knowing whether or not you’re getting a good deal. That’s why we’ve aggregated the five best VPNs for Popcorn Time, so you don’t have to worry about getting stuck with a poor service. Is Popcorn Time Safe Without a VPN? Popcorn Time allows users to stream content by using BitTorrent downloads. As you might expect, since it uses BitTorrent, there are several security concerns that need to be addressed. First and foremost is the concern of anonymity. Unfortunately, it’s rather dangerous to download BitTorrent files without a VPN tunnel, since other seeders and leechers would be able to see your true IP address. Once they know your true IP address, you can be targeted in hacking, reconnaissance and scanning attempts. Fortunately, a VPN tunnel offers a feature called IP address masking, which allows your computer to borrow the IP address of an intermediary VPN server. That way, other BitTorrent users will only see the IP address of the VPN server; your computer will be hidden behind that server. In addition, a VPN tunnel will make all of your traffic invisible to snooping authorities while it’s inside the VPN tunnel – third parties can’t see what you’re downloading. This is absolutely crucial if you live in a country that has strict BitTorrent and copyright enforcement laws. While I don’t advocate breaking the law, if you do choose to download content in an area where there’s no clear line regarding BitTorrent law, it’s better to use a VPN tunnel to be safe rather than sorry. To help you stay anonymous, and to make Popcorn Time traffic invisible to other online entities, let’s take a look at the five best VPNs for Popcorn Time. ExpressVPN is the best VPN for Popcorn Time because it consistently provides high-speed VPN connections that are reliable and don’t crash. A VPN tunnel’s speed is paramount to a painless Popcorn Time experience, since high quality video and multimedia can eat up plenty of bandwidth. 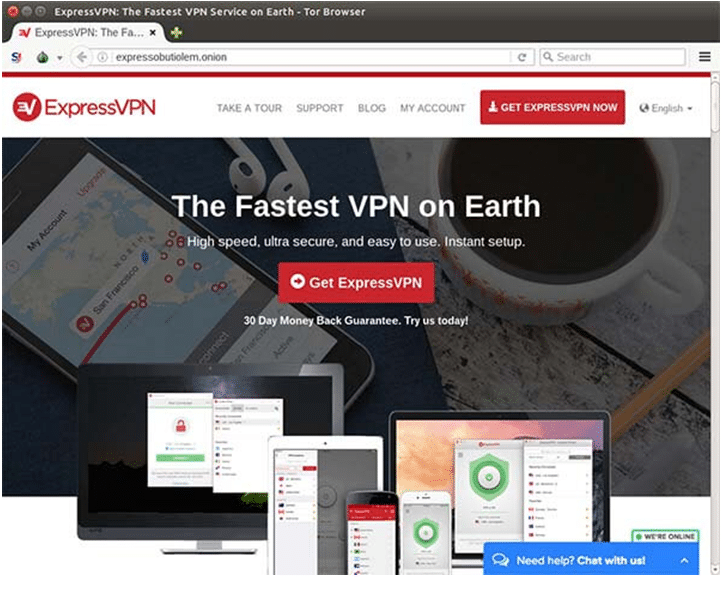 There are a lot of other reasons to like ExpressVPN too. For starters, ExpressVPN hosts servers in more countries than most other providers. Right now, it has servers in 94 countries, while many smaller providers only host servers in 25-30 countries. And even though there isn’t a free trial, new subscribers can take advantage of the 30-day money-back guarantee. Also, users can connect up to three devices at the same time. ExpressVPN is based in the British Virgin Islands, which is great if you distrust data service companies based on American soil. I wish this service was a little bit cheaper, but if you take advantage of long-term subscription discounts, you can get it for as little as $8.32 per month. IPVanish is the second best alternative for use with Popcorn Time. Like ExpressVPN, IPVanish has blazing fast servers. IPVanish has slightly smaller global coverage, though I don’t see it as a large drawback. IPVanish currently hosts over 750 servers in 60 countries, and covers all the major regions that have free and uncensored internet. Although IPVanish has fewer countries to choose from than ExpressVPN, it does offer two more simultaneous connections per account (up to five). IPVanish supports P2P traffic and doesn’t throttle bandwidth on BitTorrent connections, so won’t impede your content downloads for Popcorn Time. The latest client version added a crucial feature for Popcorn Time users: a VPN kill switch. The kill switch can halt torrent downloads if the VPN tunnel disconnects, ensuring that your downloads are never visible to an ISP or government agency. Though I don’t typically use proxy services (I prefer VPN connections), IPVanish does include a Socket Secure (SOCKS5) web proxy service with all subscriptions. However, there isn’t such a thing as a perfect VPN service provider – the Achilles’ heel of IPVanish, in my opinion, is that it’s based in the United States. NordVPN is another viable alternative for Popcorn Time users, and perhaps the best low cost option. You can get NordVPN for as little as $3.29 per month with a special two-year subscription promotion. That’s cheaper than a meal at a fast food restaurant. NordVPN has a host of great features. For starters, I really like the fact that it is based out of Panama. I tend to be biased against domestic US firms, as well as those based in Five Eyes countries, due to governmental surveillance and wiretapping. NordVPN is far outside of those locations. Also, NordVPN has a relatively large network of servers. To date, NordVPN has servers in 57 countries, which should accommodate the vast majority of users. Not only are servers located in the most popular geographic areas (the US, the UK, Canada, Hong Kong, Singapore, and so forth), it also hosts servers in some smaller countries, off the beaten path of the internet. It’s a great choice for BitTorrent users, and P2P traffic isn’t restricted or throttled. Last but not least, NordVPN offers more simultaneous connections than most other competitors by allowing six concurrent connections. VPNArea is the next best alternative for Popcorn Time users. In addition to fast and reliable servers, it has great security features. I particularly like the kill switch feature, which is a staple for BitTorrent downloaders, so that downloads will cease in the event of a tunnel disconnect. Furthermore, the software client comes with anti-Internet Protocol version 6 (IPv6) leak protection and anti-Web Real-Time Communication (WebRTC) features. It also has a Domain Name System (DNS) leak protection mechanism to ensure that your DNS requests are made through the VPN tunnel. I love the fact that VPNArea allows up to six simultaneous connections. That makes it great for families and technology junkies alike. Also, outside the scope of Popcorn Time, VPNArea is great if you need to connect to a specific country, since it has a relatively large network of servers. Right now it operates and hosts servers in 68 countries, but seems to be in a state of continuous expansion. While there isn’t a free trial, you can test out this service risk-free for seven days with the money-back guarantee. If that weren’t enough, I also liked how low-cost this provider is. You can get this service for as little as $4.92 a month with an annual subscription. AirVPN is the last of our five best VPNs for Popcorn Time, and has fast and reliable servers. I like the fact that AirVPN uses OpenVPN connections exclusively, since it’s more secure than Layer 2 Tunneling Protocol (L2TP) and Point-to-Point Tunneling Protocol (PPTP). AirVPN offers a lot of OpenVPN options that aren’t offered by other providers, which make the connections more flexible. In addition to port forwarding, users have the ability to use AirVPN’s OpenVPN connections over Secure Sockets Layer (SSL), Tor and Secure Shell (SSH). The security is better than the average provider, and in addition to using AES-256-bit encryption, it also uses 4096-bit RSA keys. Even though AirVPN is suited for users around the world, I think it’s especially useful for European users – most of AirVPN’s global server locations are scattered across Europe. I was impressed that AirVPN updates its website with real-time server data, so you can intelligently select which server you want to connect to. Each server shows how much capacity is in use down to the megabit, which prevents you from connecting to an overburdened server. That way you can download Popcorn Time media without waiting forever for it to load. If you’re used to downloading massive video files from BitTorrent and waiting hours (or even days) for the download to complete before watching your favorite video content, there’s good news: Popcorn Time will allow you to stream your data for free. However, there’s an innate security risk surrounding any application that leverages P2P technology. Strangers in your swarm can see your real IP address, and you never know when a gifted and malicious hacker will join your swarm. To make matters worse, some ISPs and networks, such as college campuses, don’t allow P2P traffic. To hide your IP address and make data invisible to third parties, use a VPN tunnel. If you’re still not sure which VPN to use, then I’d advise you to test one out. Either take advantage of the free trial or subscribe to a service with a money-back guarantee, so you’ve got nothing to lose.